Laura Gaydon, Director of SBK, was delighted and honoured to be a finalist in this year’s Banbury Women in Business Awards. The BWIB awards showcases the very best business women in Banbury and the surrounding area, and Laura was one of 3 finalists in the category “Going the Extra Mile” sponsored by Edd Frost & Daughters, independent funeral directors in Banbury. This category is awarded to an individual or business going that extra mile in providing a high standard of Customer Care. The judges look for evidence of effective customer service provision to include a complaints system and regular monitoring, and how effective customer care has benefited the organisation, its staff and its customers. 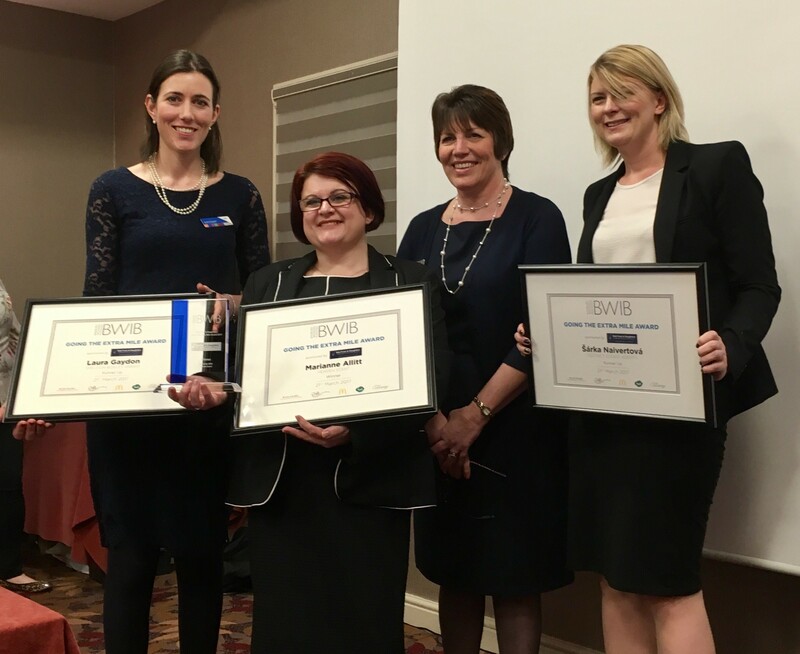 The winners were announced at the BWIB annual conference which featured two highly inspirational speakers. Laura is pictured above with (L-R) the winner Marianne Allitt, award sponsor Barbara Scrimshaw of Edd Frost & Daughters and finalist Sarka Naivertova.